Capilano Lake is a resevoir for Vancouver and was tested for tritium by Team EnviroReporter. I have just read Dr. Gordon Edwards’ article on Tritium Emissions. Dr. Edwards is the President of the Canadian Coalition for Nuclear Responsibility. Dr. Edwards is consultant on nuclear issues and has been qualified as a nuclear expert by courts in Canada and elsewhere. 1. Tritium is a radioactive hydrogen atom. It replaces one of the stable hydrogen atoms in water H20 and is called tritiated water HTO. Like H20, tritiated water is colourless and odourless. It has a half life of 12.3 years so it will be around for 123 years before it decays away. 2. Naturally occurring tritium is extremely rare on Earth, where trace amounts are formed by the interaction of the atmosphere with cosmic rays. The Ontario Drinking Water Advisory Council (ODWAC) says that anything above 2 bq/l of tritium in drinking water is due to man-made pollution from nuclear weapons or from nuclear reactors. 3. The Canadian standard for tritium in drinking water is 7000 becquerels per litre which is 350,000% higher than background. (One Bq is defined as the activity of a quantity of radioactive material in which one nucleus decays every second). 4. Two independent scientific advisory bodies in Ontario have recommended reducing the permissible level of tritium in drinking water by a factor of 350 – down to 20 becquerels per litre maximum. 5. The UK Committee Evaluating Radiation Risks from Internal Emitters (CERRIE) has concluded that the biological harm caused by a given tritium exposure could be as much as 15 times greater than the harm caused by a corresponding quantity of gamma or X-ray. 6. Every radionuclide has its own unique pathway through the body. e.g Iodine 131 damages the thyroid. Cesium 137 goes to the muscle and is especially damaging to the heart muscle. Strontium 90 lodges in the bone and causes leukemia. But tritium, because it is attached to water, goes everywhere in the body and becomes incorporated directly into organic molecules. 8. It has been shown that tritium crosses the placenta and enters the body of a developing fetus quite readily and that tritium damages both chromosomes and genes. A sudden intake of tritium can have a disproportionate effect on the subsequent life of a developing fetus. 9. It is not possible to filter out tritium once it is in the water. Bottled water is the only way to avoid drinking it (as long as the bottled water is tested to be tritium free). But it will still be in the rain water and will be absorbed through the skin in bath and shower water. 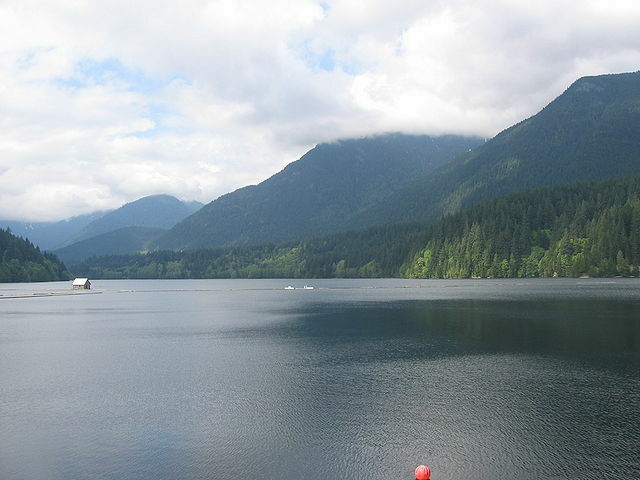 After the triple meltdowns and hydrogen explosions at Fukushima Daiichi on March 3, 2011, the City of Vancouver tested for radionuclides in the three open reservoirs at Capilano, Coquitlam and Seymour. The lab gave a fairly high Minimum Detection Level for tritium – 15 becquerels per litre. For all three reservoirs, the results for March 16, 2011, March 25, 2011, March 28, 2011, April 5, 2011, April 11, 2011, April 18, 2011 and April 26, 2011 were all “less than 15 bq/l”. Metro Vancouver either did not test for tritium on May 2, 2011 and September 21, 2011 or did not report results. In January 2012, Metro Vancouver sent their water samples to the TestAmerica lab in Richland, Washington, U.S.A. TestAmerica sent results to Metro Vancouver but Metro Vancouver did not publish these results on their website. I found out about this because I contacted TestAmerica in August 2012 to find out about sending some foods to them for radioisotope testing. TestAmerica said they could test my samples but that they would like me to have an expert to analyze the results. I asked them to recommend someone to me and they said they didn’t know anyone in Vancouver but that Metro Vancouver had sent samples to them and they suggested I call Metro Vancouver for a recommendation. If TestAmerica had not told me Metro Vancouver had done a test with them, I would not have known that more water samples had been tested. Once I had this information, I was able to request the test results from Metro Vancouver. The results are public information, so Bob Jones of Metro Vancouver sent me the results. TestAmerica has much lower detection levels than the previous lab used by Metro Vancouver. Their “Method Detection Limit” is 3.6 to 3.7 bq/l. Keeping in mind what Dr. Gordon Edwards said – that 2 bq/l is background and anything over that is either from a nuclear reactor or nuclear weapons (i.e. man made) then the Capilano Reservoir is 144% above background levels and the Seymour Reservoir is 185% above background levels. Both Cesium 134 and Cesium 137 were detected in the January 2012 water tested. Cesium 134 is a trademark of Fukushima. The tritium could have come from Fukushima. As the earlier 2011 results only measured any levels over 15 bq/l, it is not possible to compare results and see if they are rising or falling. This is another good reason why Metro Vancouver should have an ongoing, regular, monthly system in place of monitoring the city water. Why they will not do this is still a mystery. Metro Vancouver has not published the January 2012 results. Metro Vancouver has not warned the public. The public has the right to know and choose to buy bottled water or not drink water from these reservoirs. Metro Vancouver has not replied to my queries as to whether they have done any further testing since January 2012. Nine months later I do not know what the tritium levels in Vancouver water is. The reactors at Fukushima are still releasing an estimated 10 million becquerels per hour into the atmosphere – every hour of every day. Metro Vancouver should be testing more regularly to see whether or not the disaster is affecting our open water supply. Tags: Capilano Reservoir Metro Vancouver Seymour Reservoir Team EnviroReporter tritium Vancouver B.C. Vancouver, BC’s 2013 Water Quality Report is out now. Looks like Metro Van could care less about this issue. Muey bastardos! Thank you Enviroreporter for helping to open my eyes. Have noted that Vancouver, BC did some primative radionuclide testing for Cs134/7, I131, Pb210, Ra226, H3, Sr90 & Uranium (including gross alpha & beta counts) measured in Bq/l except for Uranium (μg/l). Sadly, these appear to have been sampled either once or twice in the sample period (except for 2011 which were apparently sampled from 3/16 to 9/21) &/or have been averaged. Cobalt 60 & Radon 222 reporting was not done for 2011. No gamma results are listed in either report, and that quote is missing from the 2012 report. By averaging the results all outliers have been removed, so ultimately the granularity of these results are horribly minimized. At least a couple points of interest include how the gross beta increased dramatically from 2011 to 2012 though. Also, it is of special note that the MAC from “Guidelines for Canadian Drinking Water Quality” is a whopping 7000 Bq/l. “TestAmerica has much lower detection levels than the previous lab used by Metro Vancouver. Their “Method Detection Limit” is 3.6 to 3.7 bq/l. This differs from the official report after having averaged the results from January & September 2012 to about 3.8 bq/l for all three locations. It is currently unclear to me whether these results are obtained from treated or untreated water. Average Gross Beta also increased from 2011 to 2012. It is also of note that the only report directly accessible from the City of Vancouver’s web site is that from 2012. Previous reports have not been uncovered by myself via a web search. That was how i uncovered the 2011 report. Unfortunately this makes it impossible to compare these results to those pre-Fukushima Mega-Disaster. 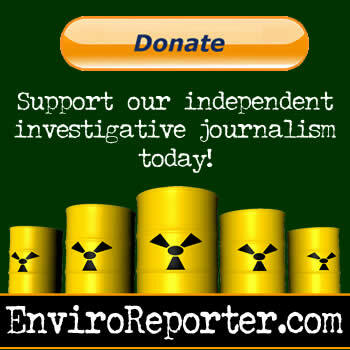 Final Quote of TeamEnviroreporter: “Both Cesium 134 and Cesium 137were detected in the January 2012 water tested. Cesium is a trademark of Fukushima. The tritium could have come from Fukushima. Delaying it’s release appears to cover it up from public view and analysis, despite the extremely low granularity. Where’s the damn 2013 Water Quality Annual Report the public paid for and rightfully deserve, eh Metro Vancouver? @SBLocal: That will not protect you from tritium. Pity the people in Eastern Canada irradiated by private industry. And we thought all of those students in Quebec were only protesting (including risking their lives & livelihoods) over just tuition fees! Susan thanks for this report. Here’s what we do: distilled water for drinking, filter on the showerhead (run bath water through the showerhead), filter on the kitchen sink faucet, and food from as far away from northern hemisphere as possible. I hope it’s enough our water supply is open too. I note that purified tritium-infused water should have higher electrical conductivity than non-infused water, due to the ionization caused by radiological decay. I hope some preliminary testing can be done simply measuring conductivity. This may assist pinpointing bodies of water needing further testing. Verify this with a lab. This is not advice. It is speculation based upon fact. Portland Oregon also has open city water reservoirs. They should be tested as well.